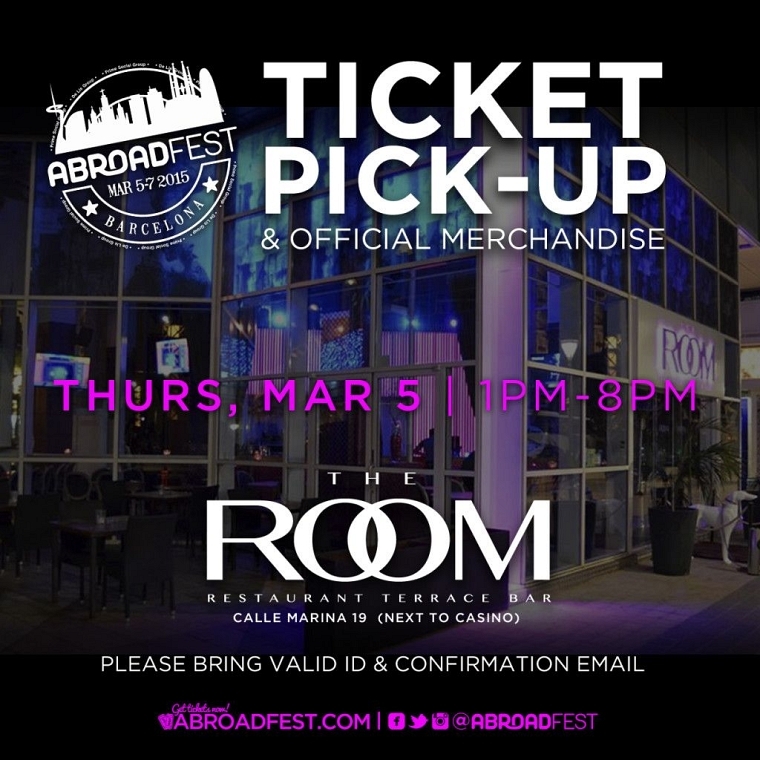 AbroadFest ticket pick-up will take place at The Room on Thursday, March 5 from 1:00-8:00PM. Remember that NO tickets will be mailed out ahead of time – this is where you’ll pick up and AbroadFest tickets and/or merch you ordered. Think of it like you’re picking up tickets at will call!